DON’T DO IT, Yahoo (Marissa! ), DON’T Start Ranking Workers on a Curve! As one of fans of Yahoo who is rooting for its return to success, and heartened by their choosing Marissa Mayer, I was very alarmed to read of their plans to use the ill-conceived practice of ranking employees on a curve — and firing the supposed bottom 10%. In an industry where companies already hire top performers and the cream of the crop already, the concept of using something that suppresses innovation, stifles team spirit, uses flawed and subjective ways of determining a human being’s “worth” to a company, I am adamantly opposed to this dangerous practice that spreads like a cancer throughout the very lifeblood of a company — it’s people! Professor made the tests too hard or too easy — but it’s wrong as a standard practice or as sole means of measurement. In a class of sharp, hard-working students, I refuse to believe that some should automatically get D’s or F’s based on a formula! In the workplace, this has even worse results. The wrong people may be labeled incorrectly, or be victims of a bad manager. The article below makes an excellent case why we need to ask Yahoo, for the SAKE of Yahoo’s future and brand, to abandon these plans swiftly. Please feel free to share your thoughts or experiences in the Comments section. If Marissa Mayer is as good at identifying winning startups as she is at embracing contentious human resources practices, Yahoo! is going to be just fine. Several months after the great work-at-home kerfuffle of 2013, Yahoo employees were up in arms about a new policy that forces managers to rank employees on a bell curve, then fire those at the low end. According to AllThingsD, Marissa Mayer reportedly told Yahoo workers that the rankings weren’t mandatory, but many people disagree. The company hasn’t responded to a request for comment. With its embrace of rankings, Yahoo has waded into the “third rail of human resource management.” Forcing managers to rank their employees along a bell curve was popularized in the 1980s (thanks, Jack Welch), but lately it has fallen out of favor. The Institute of Corporate Productivity says the number of companies using either a forced ranking system or some softer facsimile is down significantly from previous years. Companies performing well were less likely to be using forced ranking systems than those that weren’t. Just over 5 percent of high-performing companies used a forced ranking system in 2011, down from almost 20 percent two years earlier. 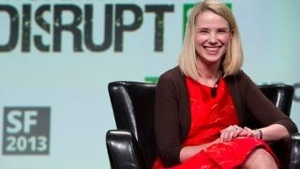 This can have a particularly bad impact on innovation, arguably the thing Yahoo most needs now. When employees worry about being ranked at the bottom of the pile, they take fewer risks, said Cliff Stevenson, who studies workforce issues for i4cp. However, rankings also suggest increased data about employees, which plays into Silicon Valley’s weakness for hard numbers. In Stevenson’s study, tech companies were over three times as likely to implement a forced ranking system than the respondents overall—although he cautioned that the sample size was too small to make any authoritative declarations. The continued appeal is largely that rankings appear to take the “human” out of human resources. Rigidly formatted evaluations generate a stockpile of crunchable information that can be used to run various types of systematic analyses. Even this will work only if the seemingly objective information is valid. Stevenson has his doubts. “Inherently the problem in ranking is that, unless it’s based purely on objective data—which you rarely see outside of a call center, it brings in a human element. There’s no way to data-fy that,” says Stevenson. In other words, managers’ prejudices and stray opinions get transformed and codified in what appears to be raw data. This seems to be one of the specific complaints being made by Yahoo employees: The rankings are both high-stakes and completely arbitrary. As the techies say, garbage in, garbage out.